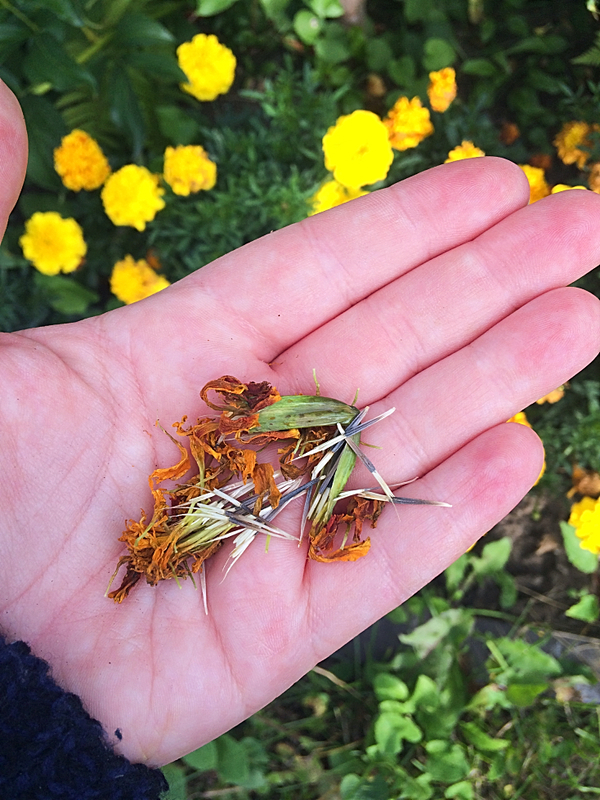 The humble marigold is one of the simplest flowers to collect. Wait until the flower has dried up, squish the little pod, and voila! Tons of seeds for next year’s flower bed with little effort. Just make sure you collect at least one flower pod of every colour you want to grow next year. I thought I had done that last year, only to realize that I only collected orange. Whoops! 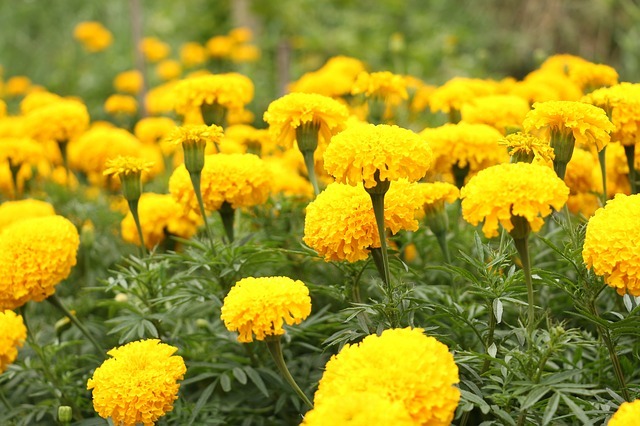 Start marigolds indoors 4-6 weeks before you intend to transplant them, or direct seed for a later bloom. Give them adequate sunlight and water, and you’ll be rewarded with a beautiful and cheap companion plant for your vegetables. 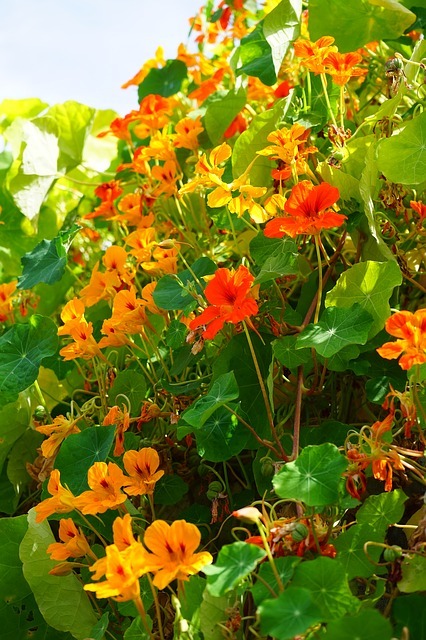 Like marigolds, nasturtiums are excellent companion flowers in the vegetable garden. Some gardeners will even use them as a sacrificial plant–they expect that bugs will eat the nasturtiums so they leave the vegetables alone. 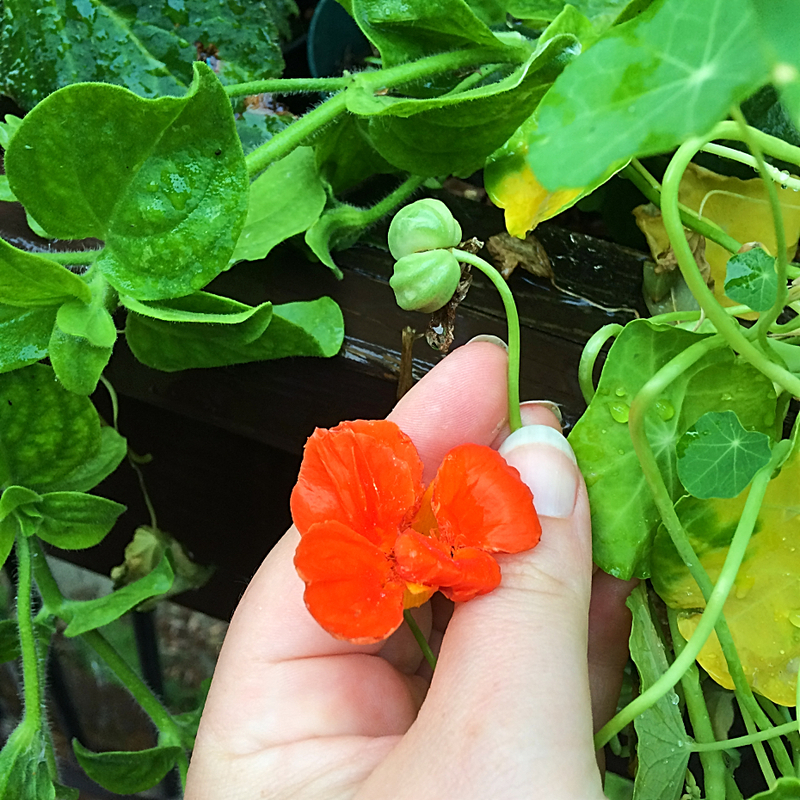 Once the nasturtium is done blooming it will leave a pod like the one below. Collect the pods and let them dry until they turn brown and slightly shrivelled. 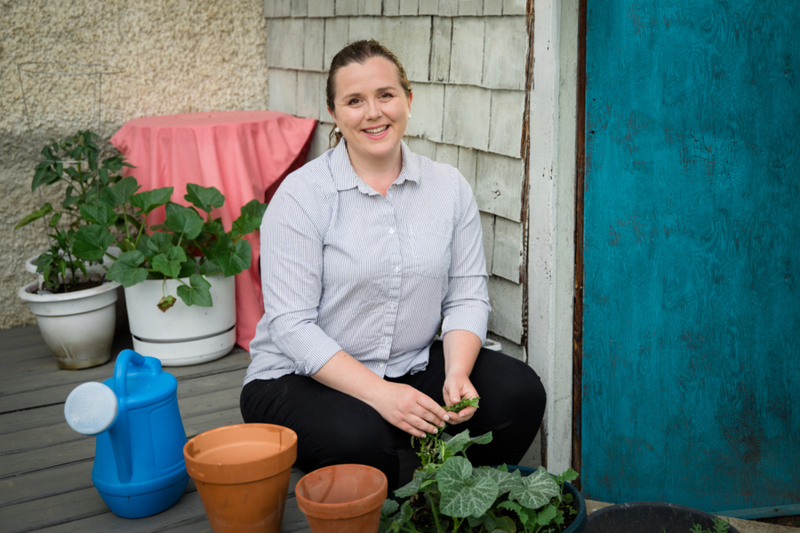 Store in an air-tight container and start 4 weeks before the last frost in the spring, or direct seed. 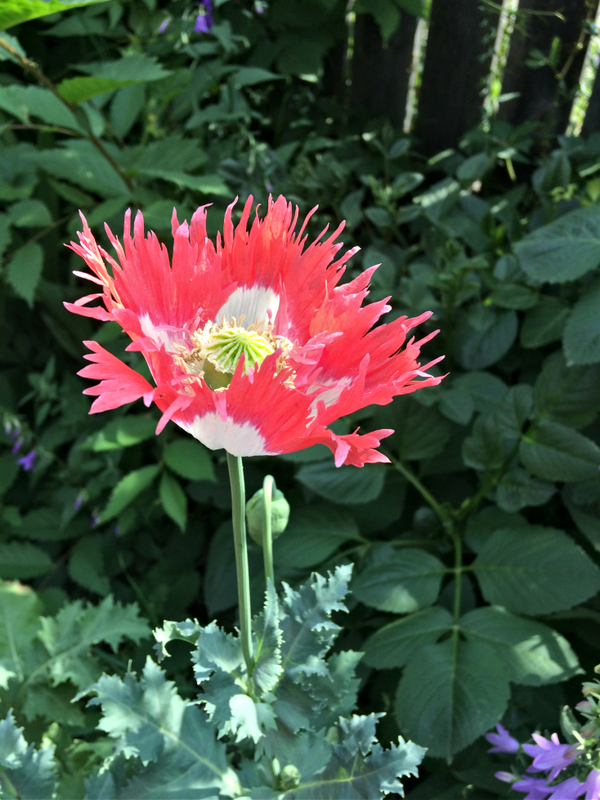 This year was my first year growing poppies, and I am in love. I have no idea what this variety is, but even though it was short blooming, I just loved how interesting it was! 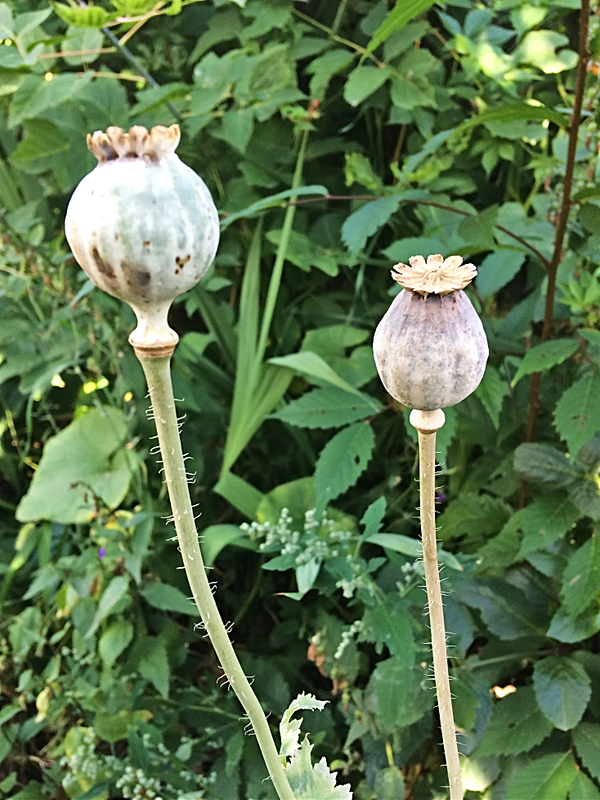 When the poppy is done blooming, it will make a beautiful seed pod like the ones below. Let them dry out for a few weeks and crush them open to reveal tons of tiny seeds. 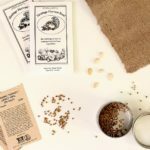 Use them in baking or save the seeds to grow more next year. 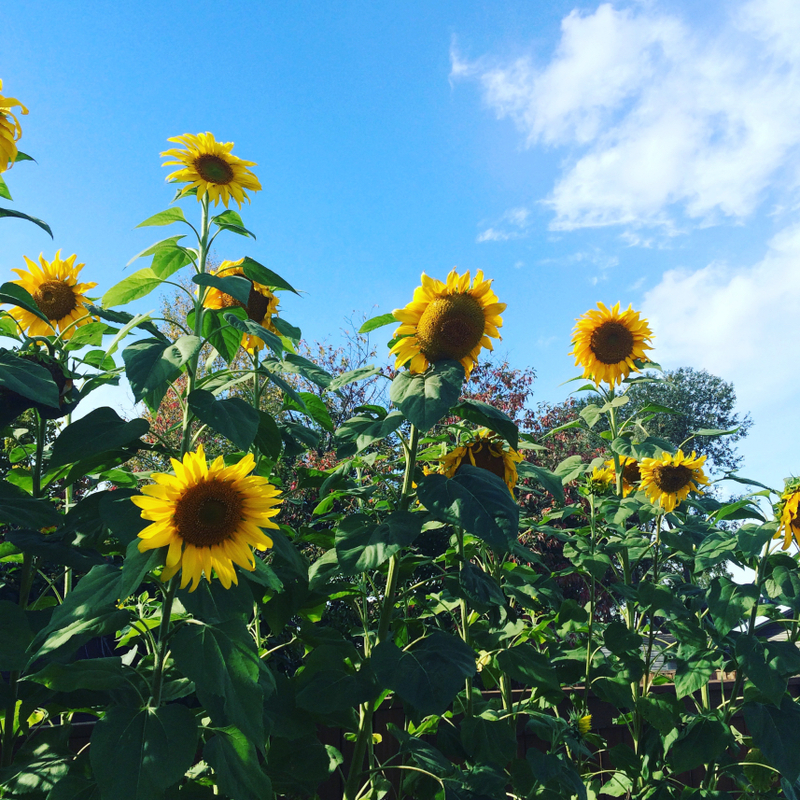 Sunflowers are an old favourite, and easy to grow. 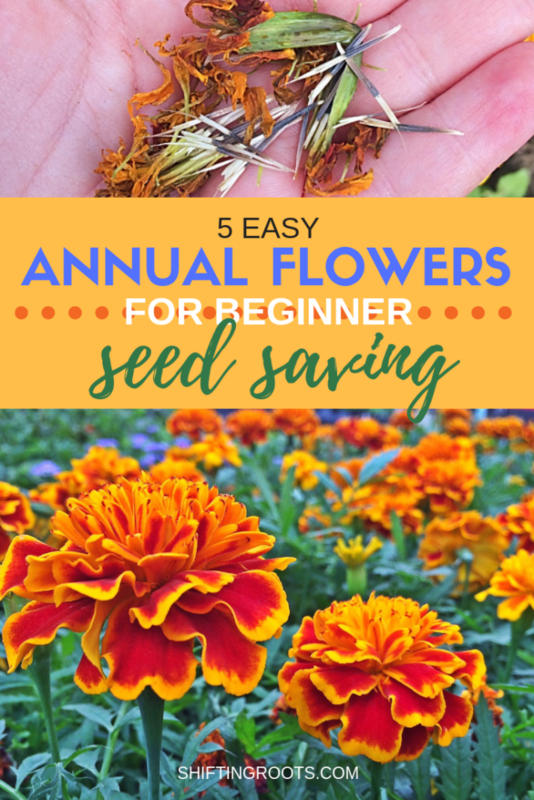 If you have kids or grandkids, consider planting one for each of them to be their special flower. 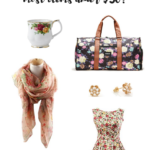 Kids love the big flowers and tall size. Once the flowers are done blooming, let the seed heads dry out, then collect them and bring them indoors. Roast the seeds for eating (if it’s an edible variety), or save them for planting next year. If you leave the seed heads out for the winter, the birds will thank you! 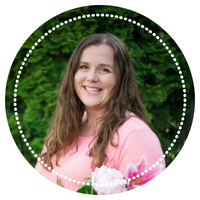 It’s no secret–I’m in love with zinnias. There’s so many colours and sizes that growing one variety simply isn’t enough for me. Grow them for late-summer/early fall bouquets, or use them in the vegetable garden as a companion flower. Once the flowers have dried up, like below, collect the petals for planting next year. 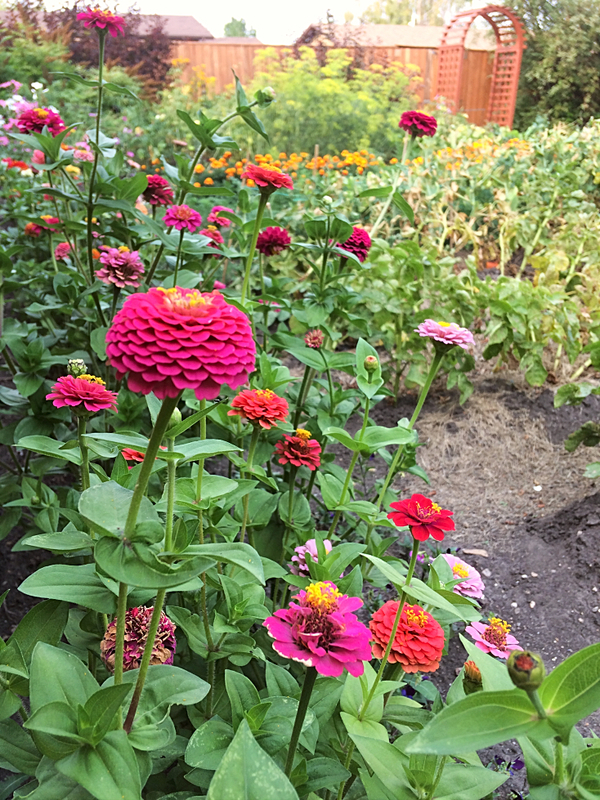 I’ve started zinnias for many years, and I find that if you’re planning to put them in your vegetable garden, it’s best to direct seed. If you want them for pots, you can start them 4-6 weeks before you need them. Zinnias have always been very successful for me when I’ve started them indoors. 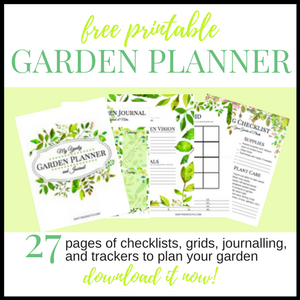 Want to save more money gardening? Here’s 5 simple things you can do this Fall to save money next Spring. 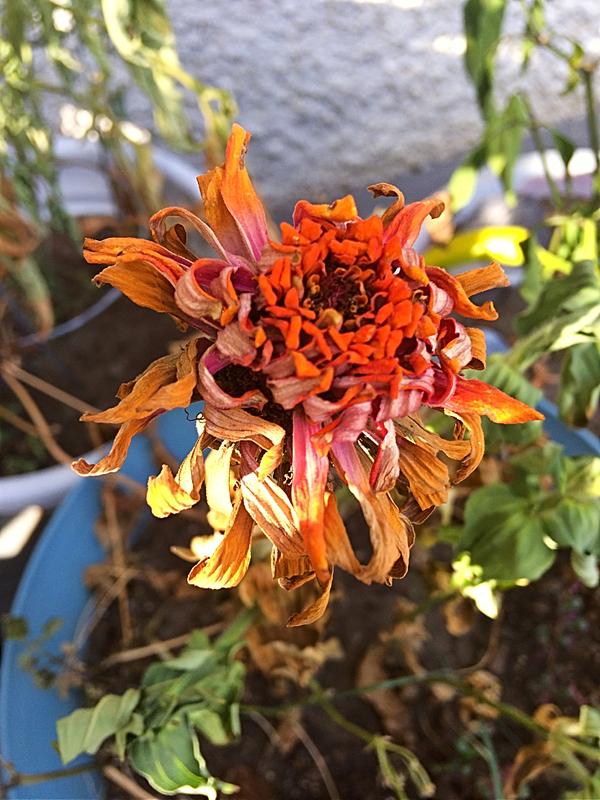 The process for saving calendula is exactly the same as saving zinnias. Let the seed heads dry out, break them up, and collect the seeds. 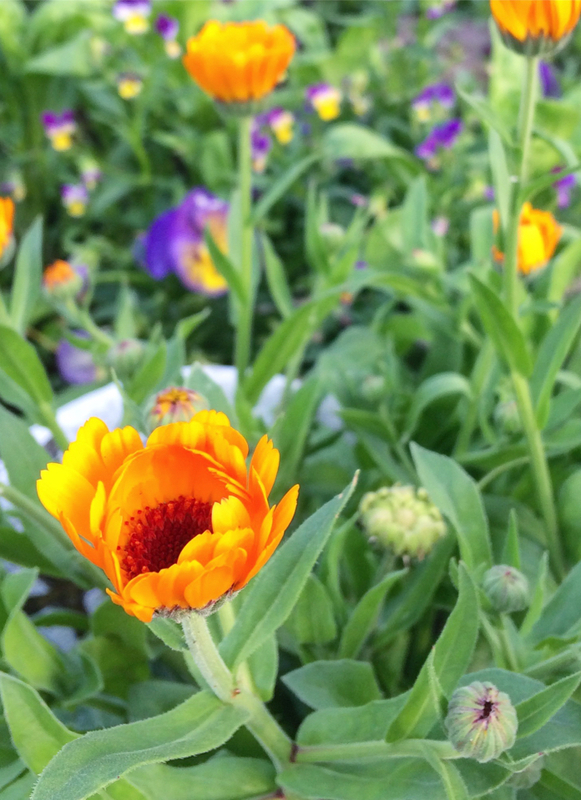 Calendula is a wonderful companion flower and is great in homemade salves and soaps. 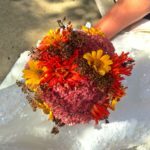 Are there any other annual flowers that are easy to collect seeds from? Tell us about it in the comments! That's what I've heard from my friends who grow them!